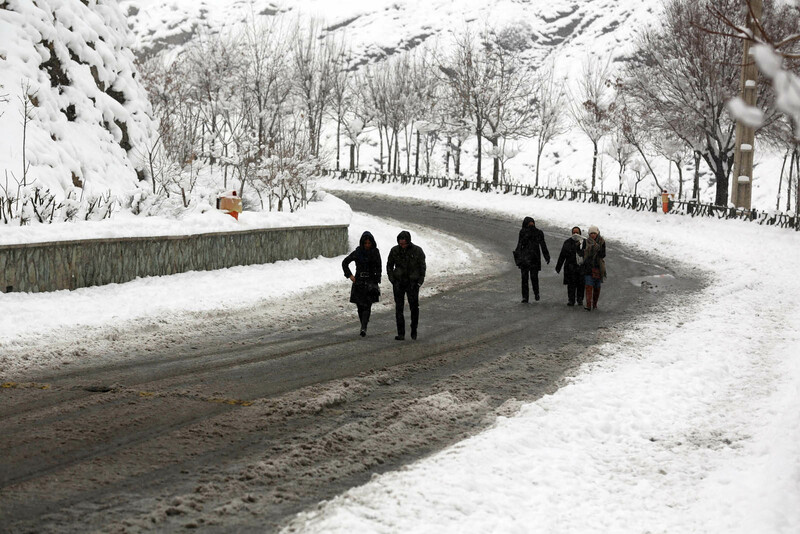 Iranians walk on a road covered in snow in the Tochal mountain, just north of Tehran. 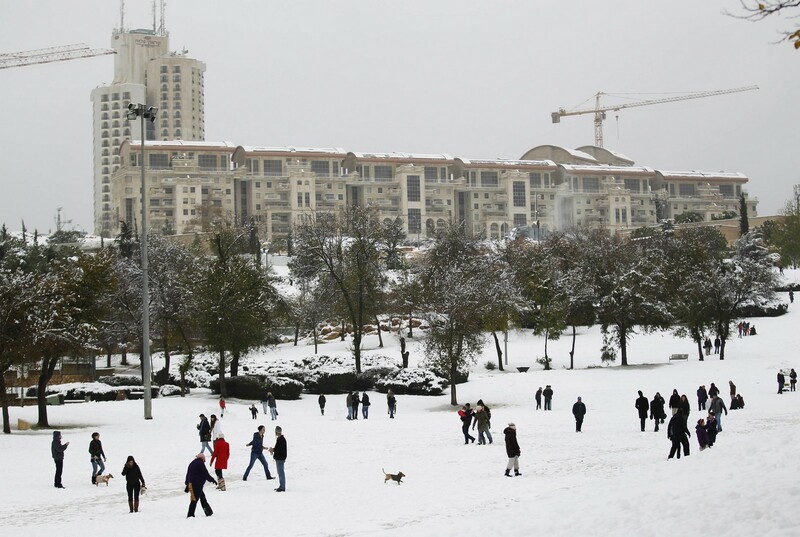 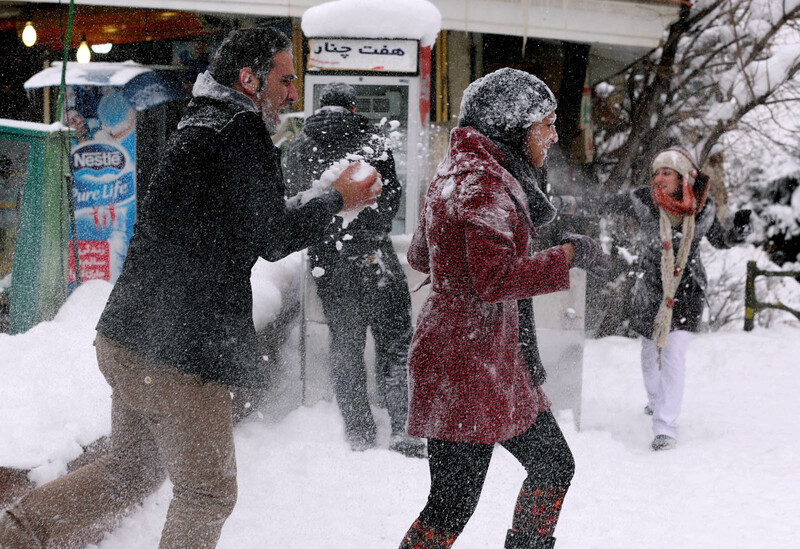 TEHRAN - Thousands of travellers, many of them visiting family during the Iranian new year holidays, have been rescued after being trapped by unexpected snowstorms in north Iran, a report said Monday. 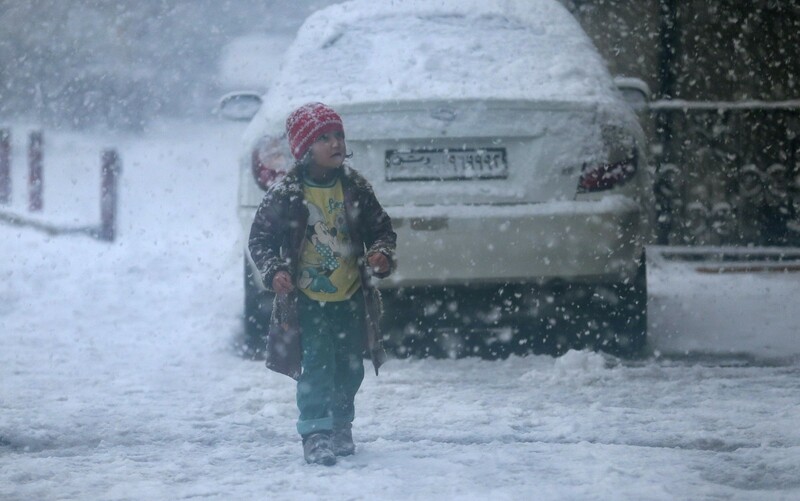 "Since yesterday (Sunday), teams have rescued around 14,000 travellers caught in the heavy snow," Red Crescent spokesman Hossein Derakhshan told the official IRNA news agency. 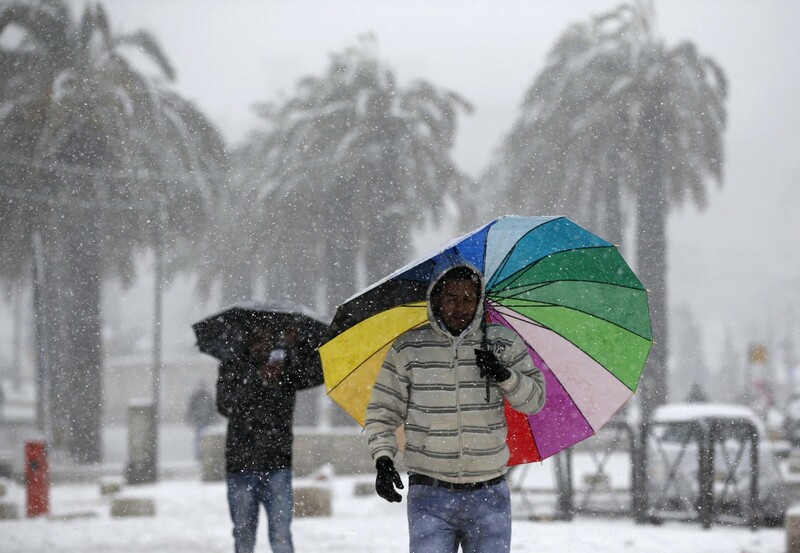 "Some 32 people were hospitalised while 1,600 people have been settled in emergency shelters," he added. 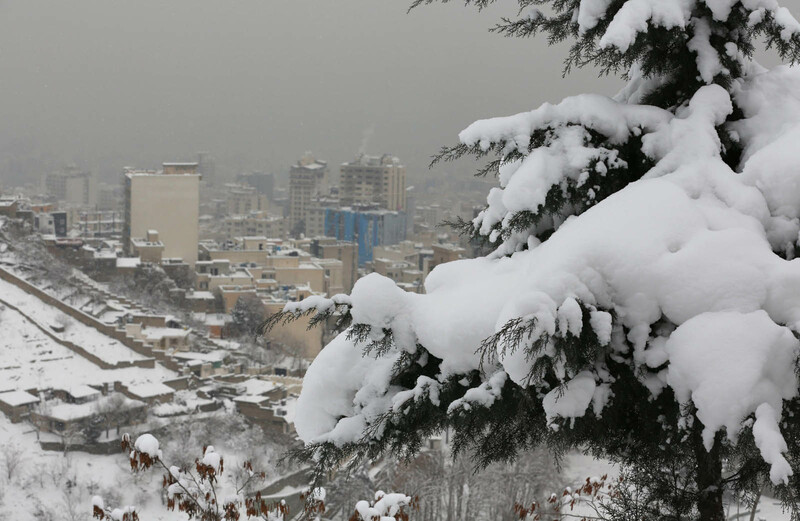 Derakhshan also said food and blankets had been distributed. 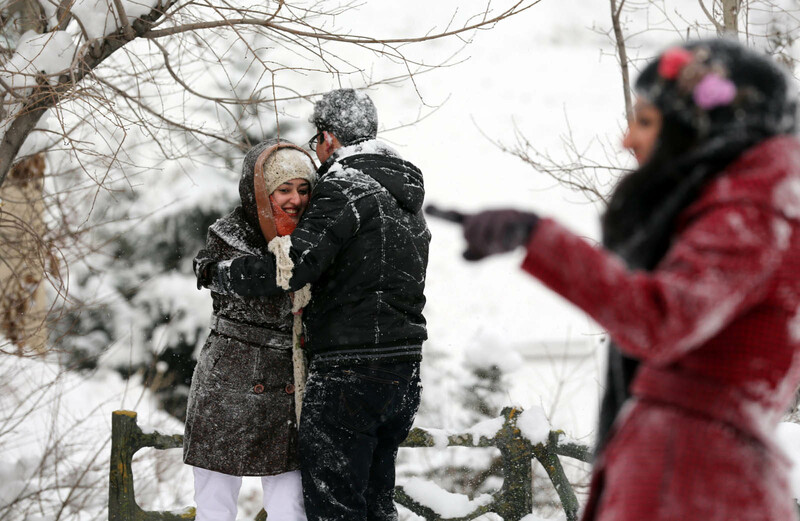 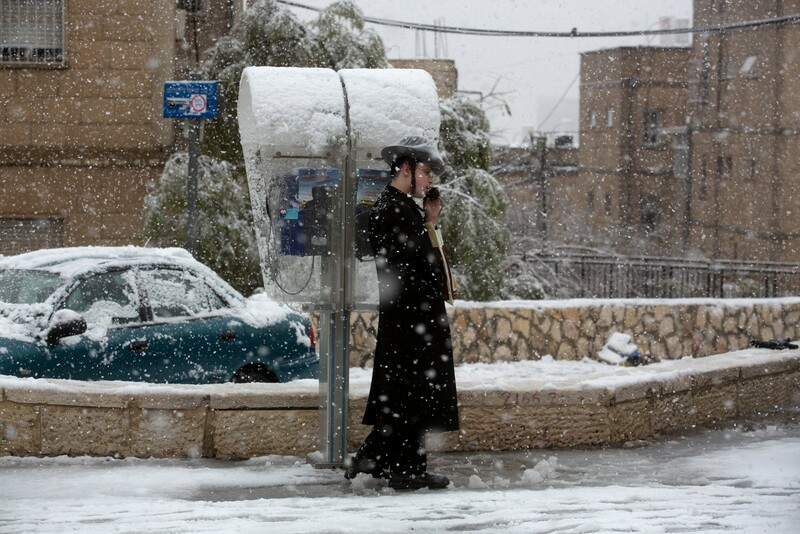 The snowstorm, which is rare at this time of year, coincides with Nowruz, the Persian New Year. 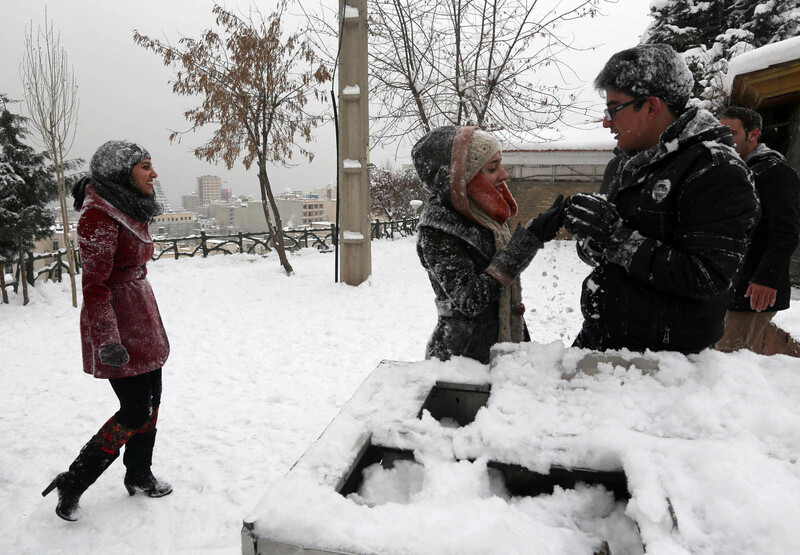 Police have urged Iranians to avoid unnecessary travel. 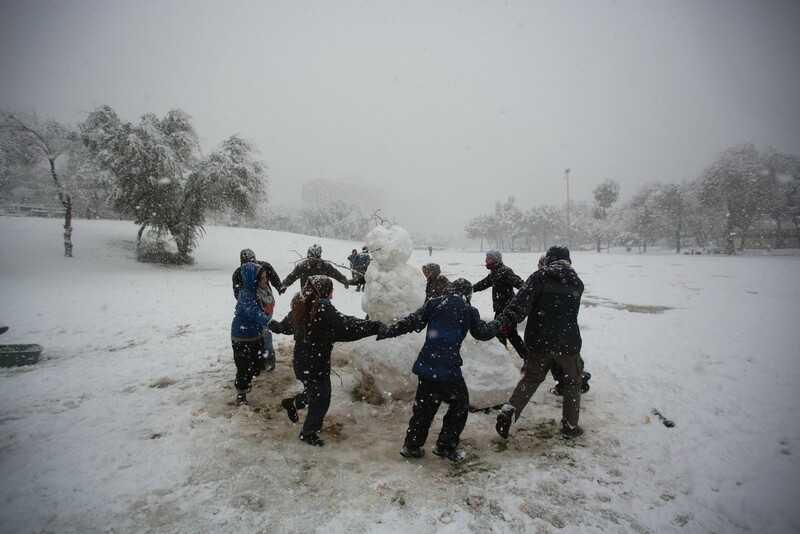 Iranian youths play with snow in the Tochal mountain, just north of Tehran. 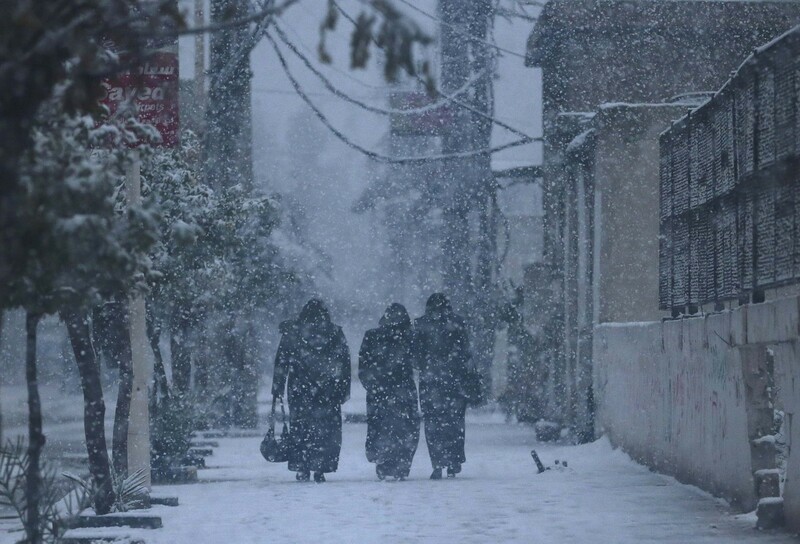 The heaviest snowstorm in five decades has blanketed provinces in northern Iran, cutting power supplies and trapping villagers, Iranian media reported. 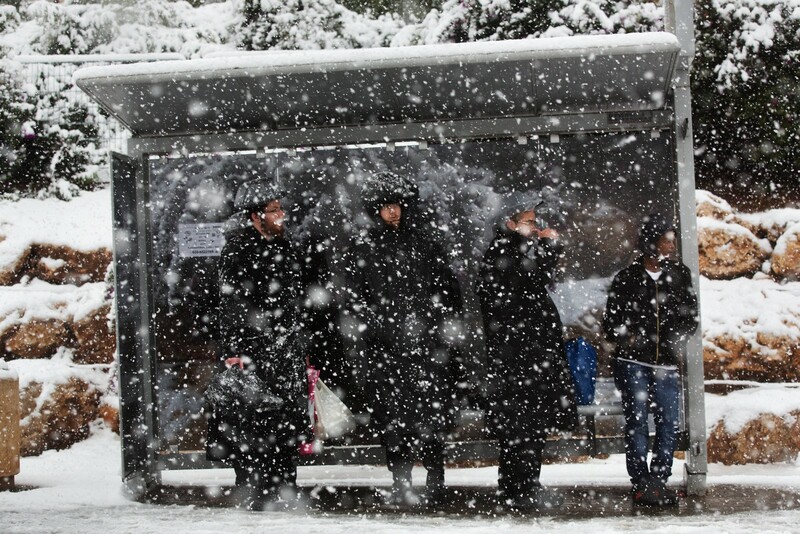 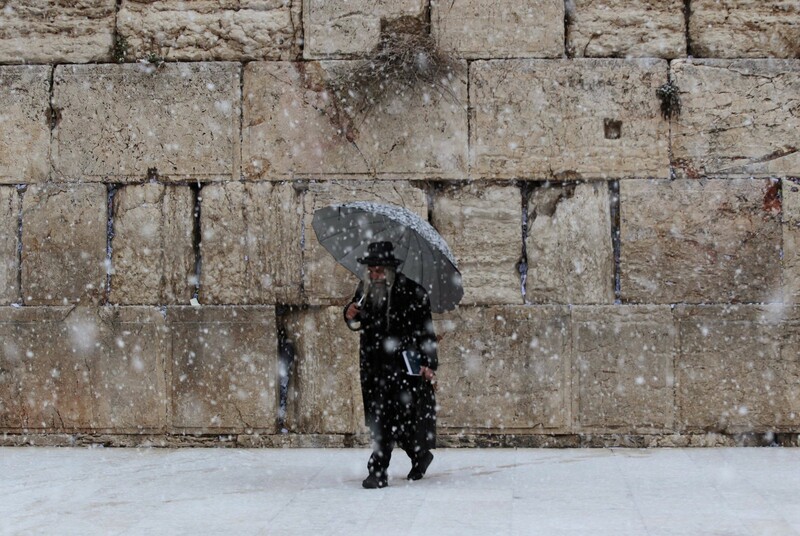 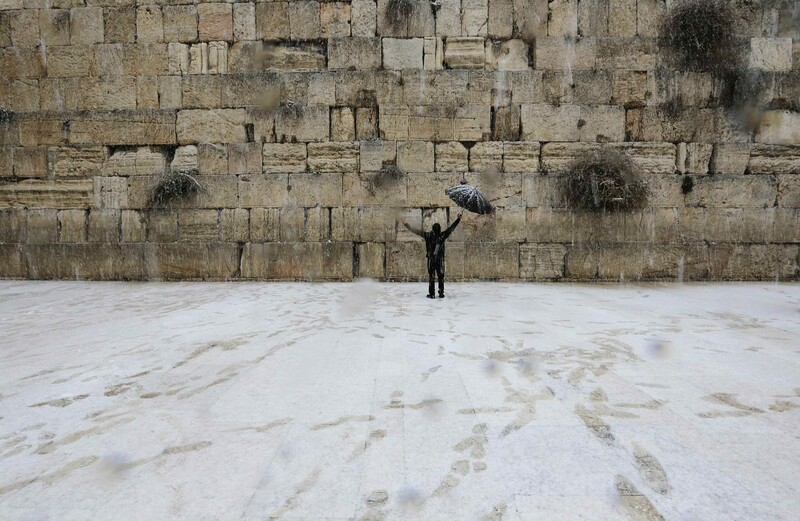 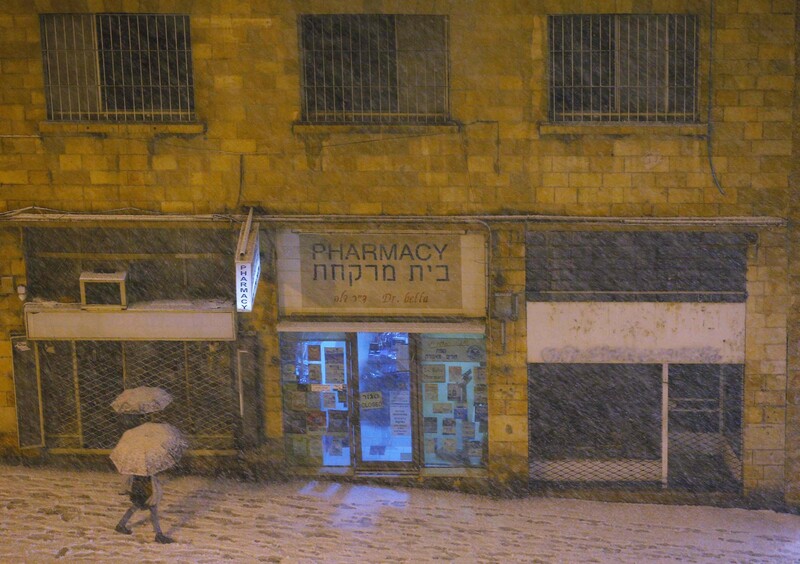 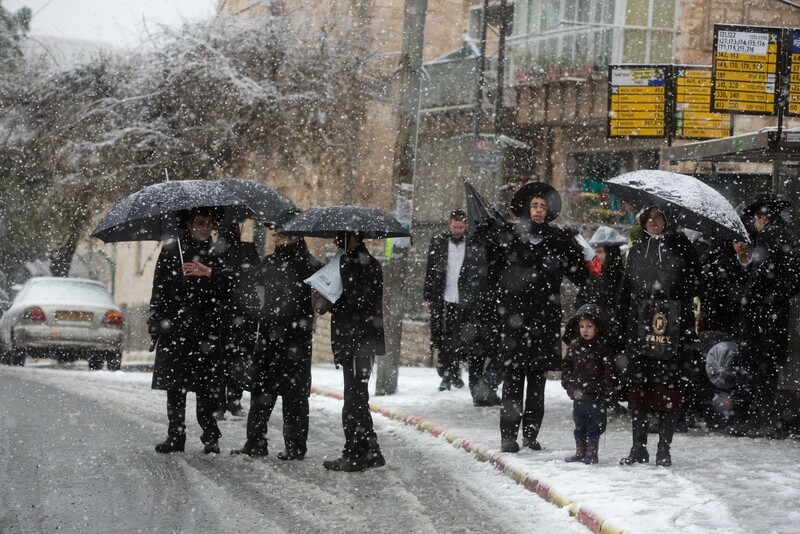 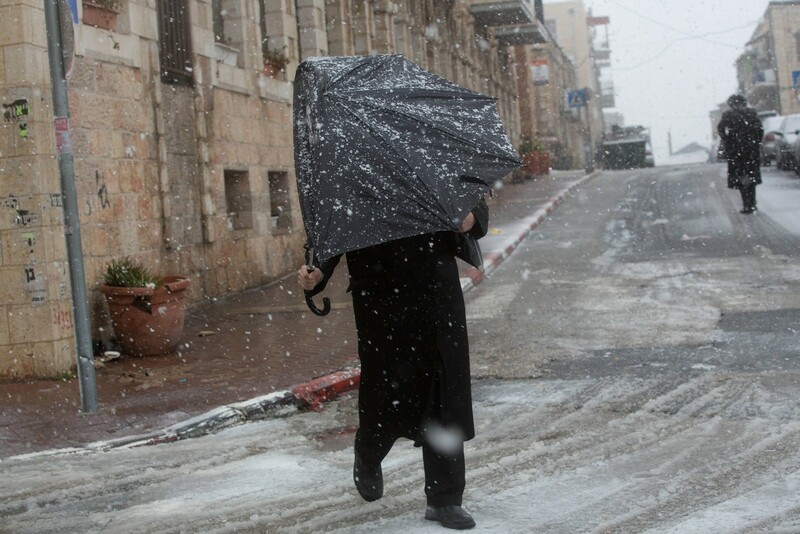 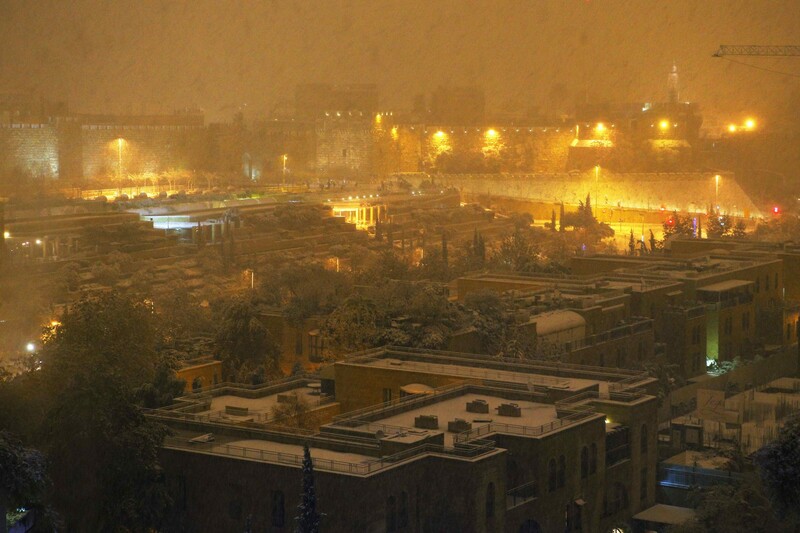 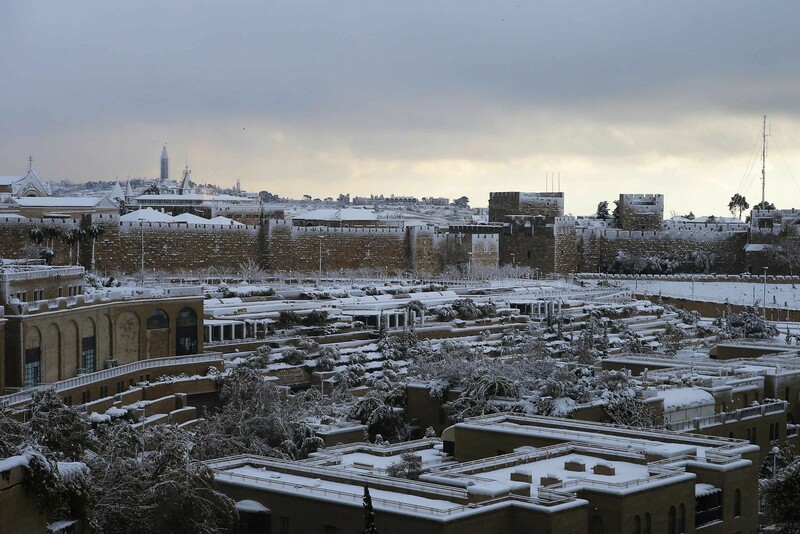 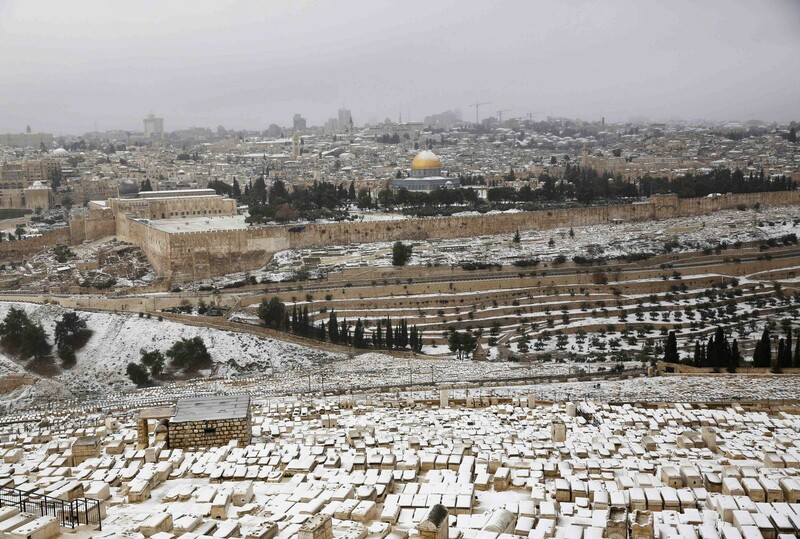 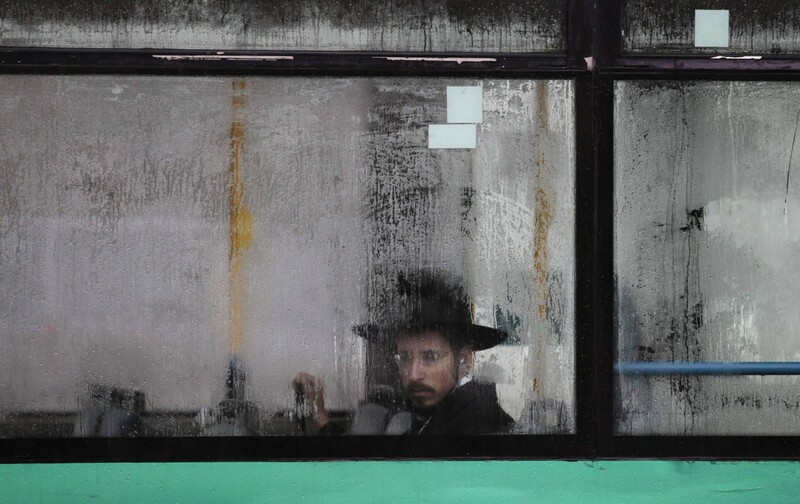 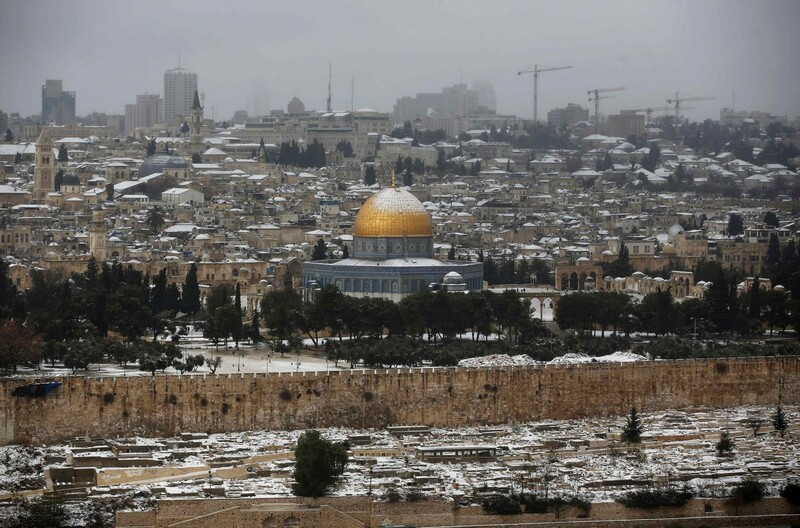 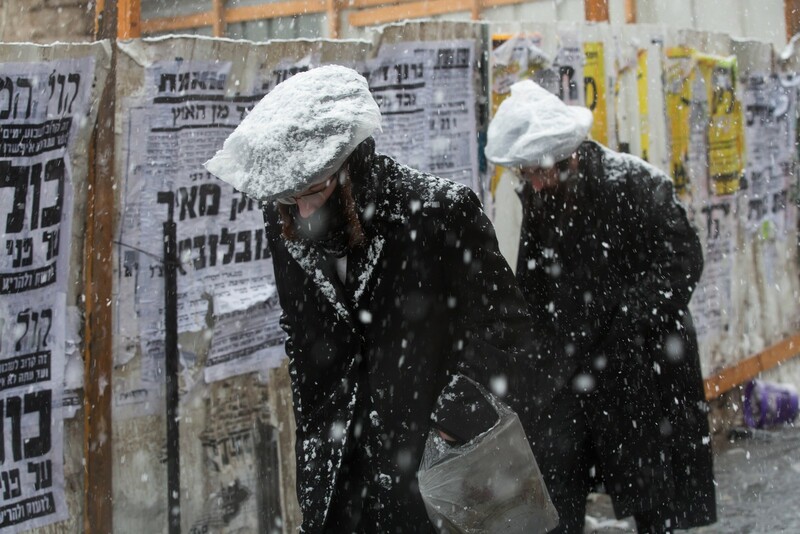 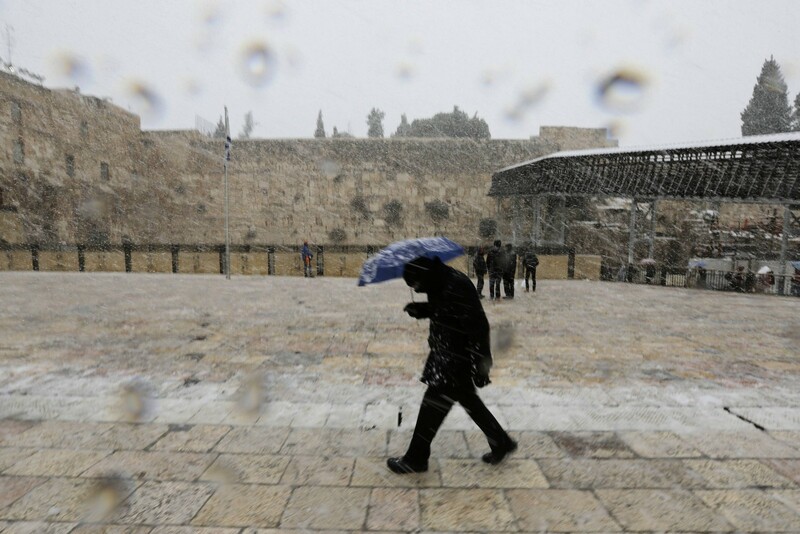 Jerusalem Mayor Nir Barkat said they are battling a storm of rare ferocity. 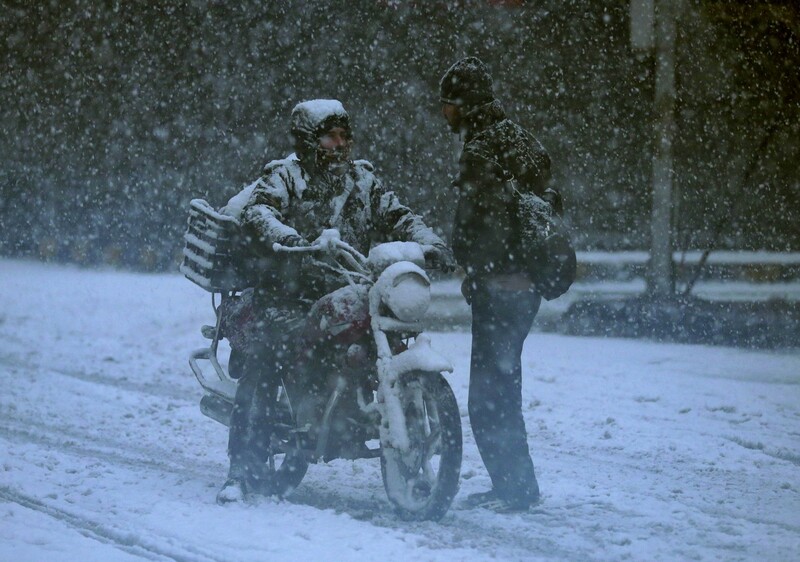 One weather forecaster described the snowstorm as "historic" on public radio. 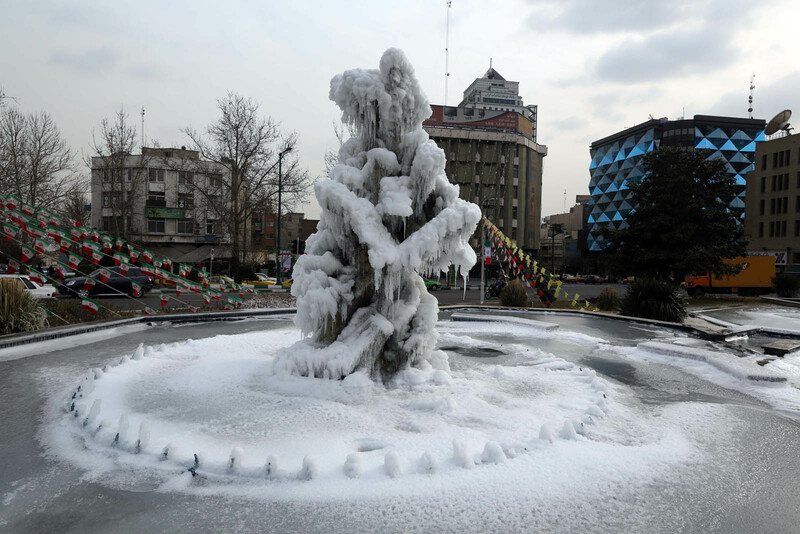 Temperatures in the city were predicted to reach a high of two degrees celsius (35.6 Fahrenheit) during Friday and drop below freezing at night. 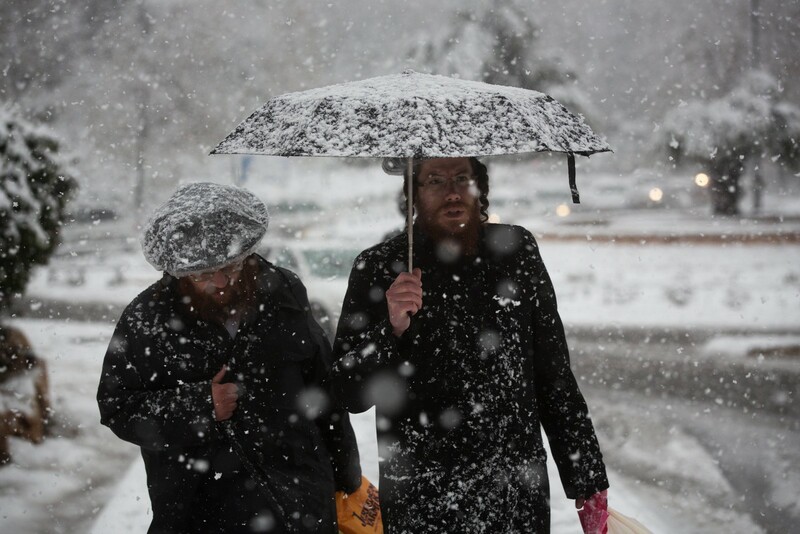 Schools were closed for a second day and most residents appeared to be heeding advice to stay at home. 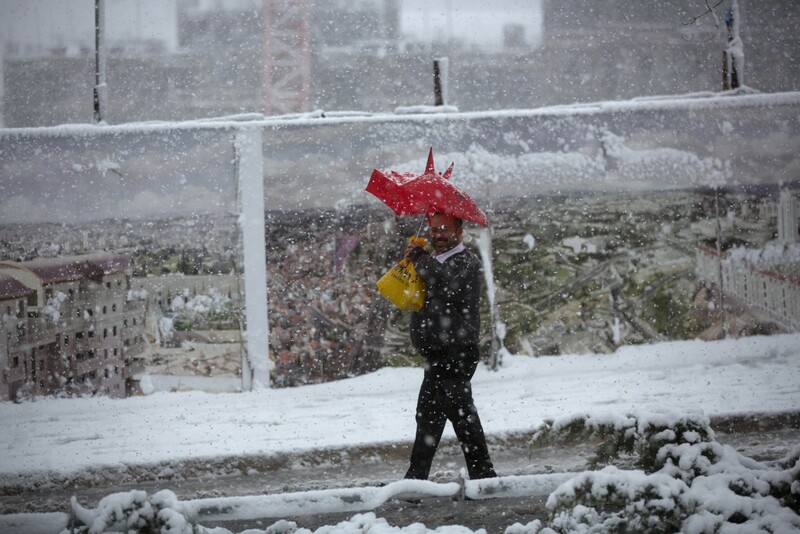 540 stranded motorists were given shelter at the city's International Conference Centre. 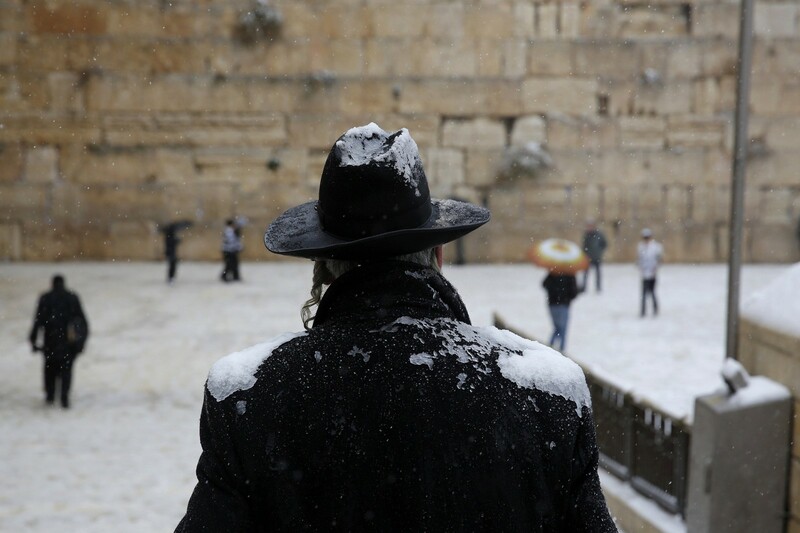 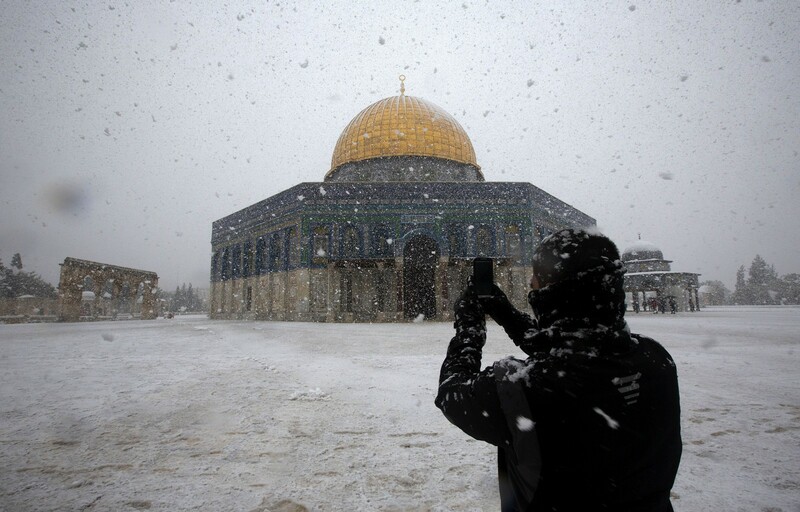 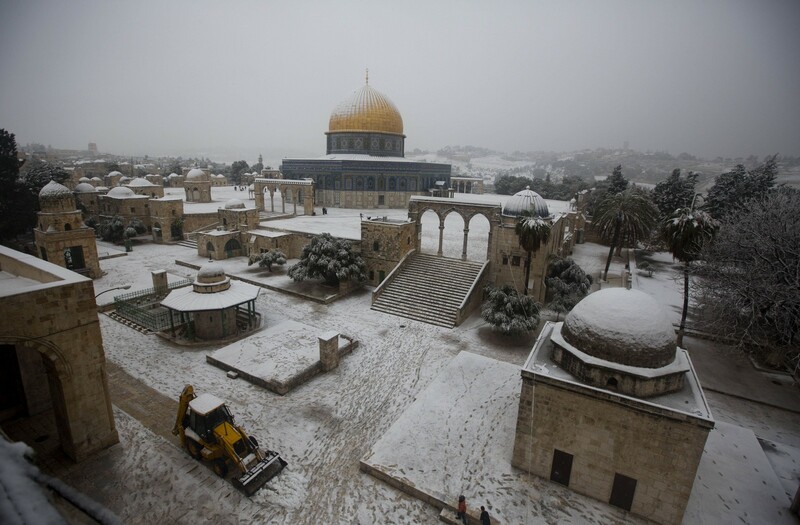 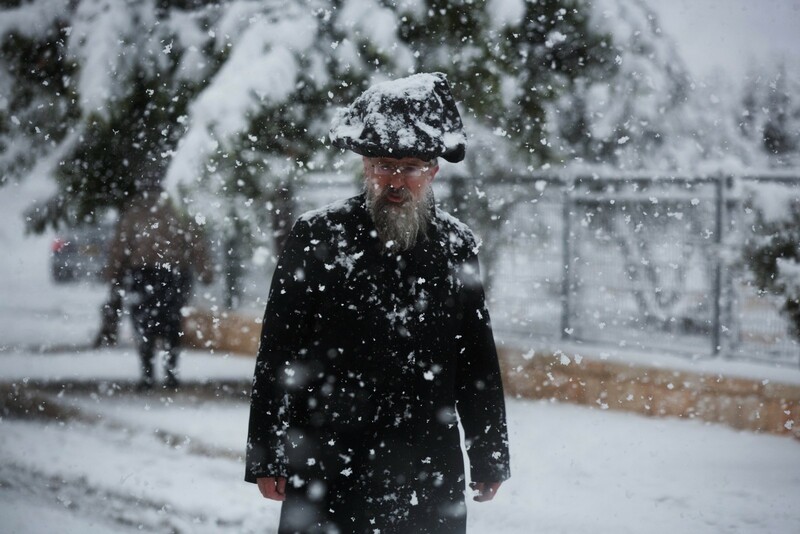 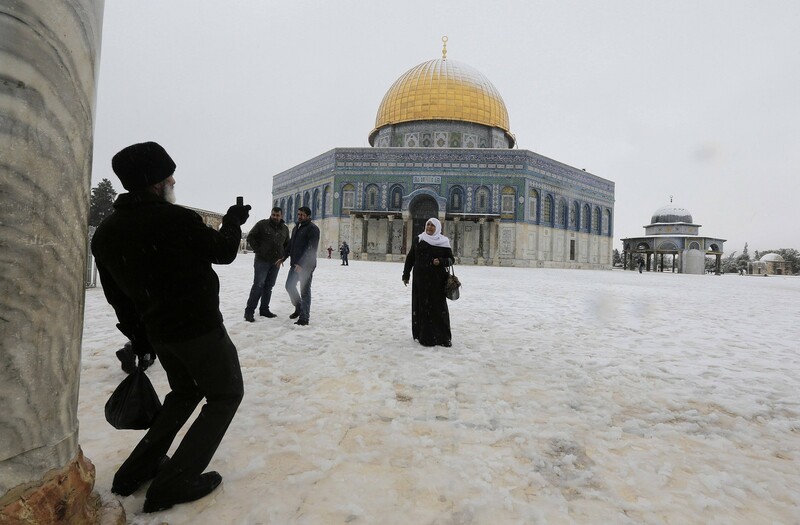 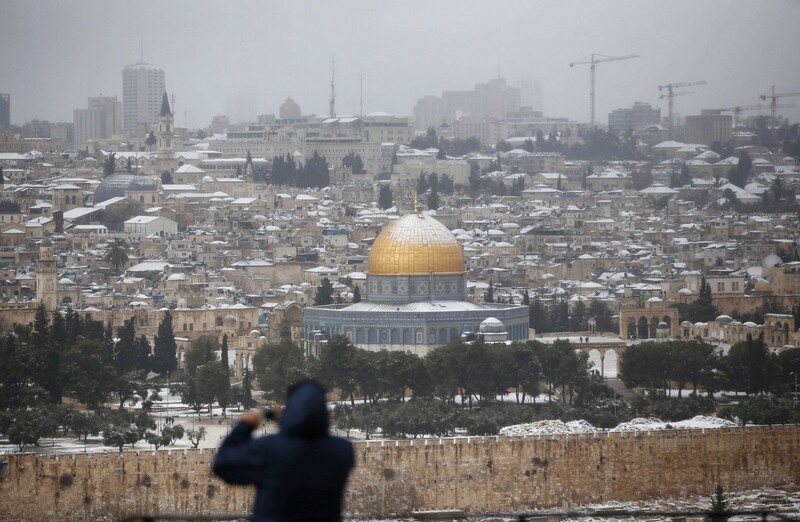 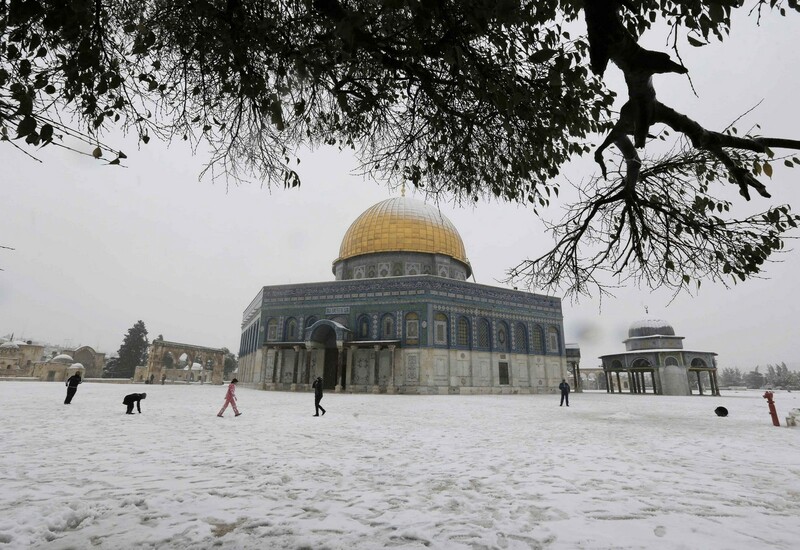 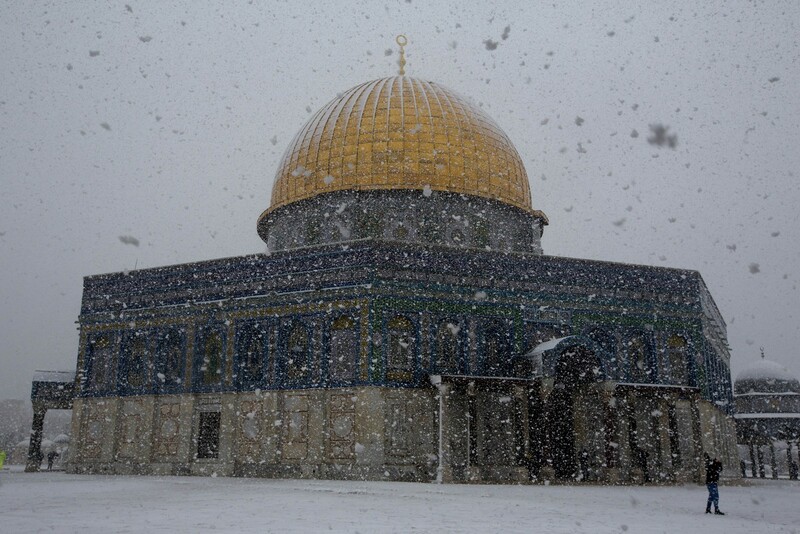 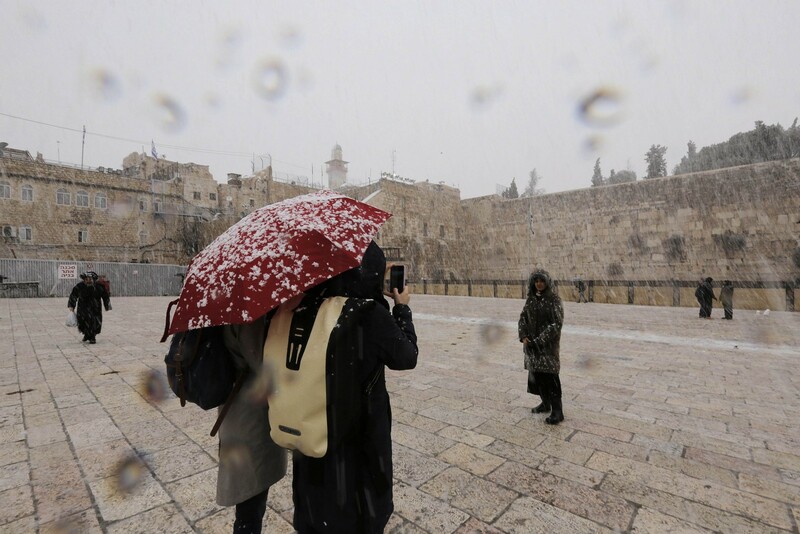 People have their pictures taken as snow falls in front of the Dome of the Rock in the compound known to Muslims as Noble Sanctuary and to Jews as Temple Mount, in winter in Jerusalem's Old City. 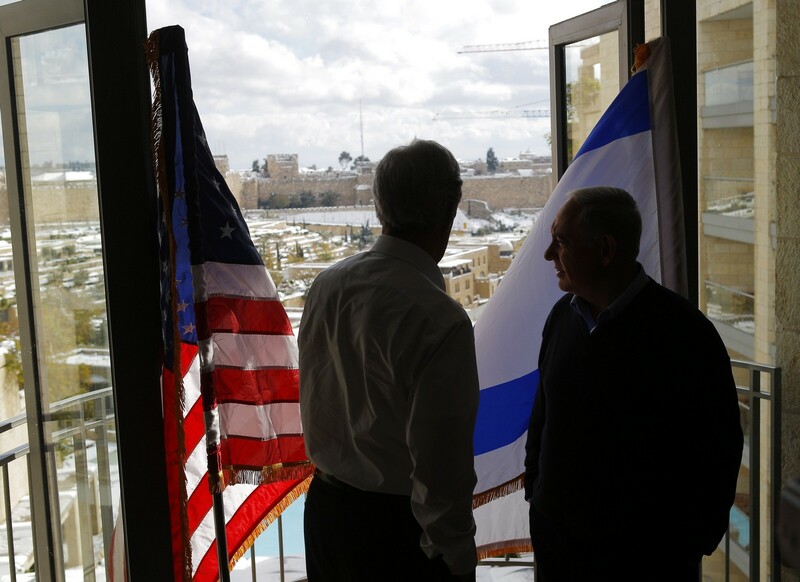 US Secretary of State John Kerry (L) and Israeli Prime Minister Benjamin Netanyahu look out onto the snow covered city of Jersusalem, during a meeting, December 13, 2013. 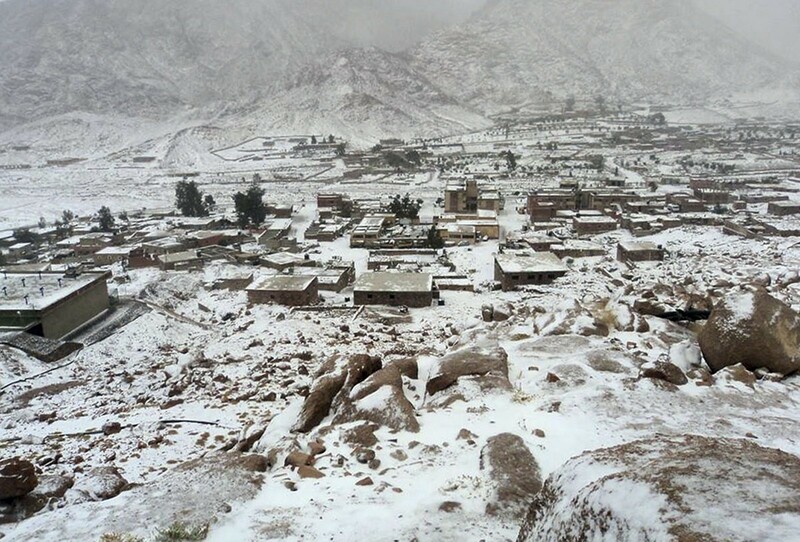 Snow covers Egypt's Sinai Peninsula, some 400 kms south-east of Cairo. 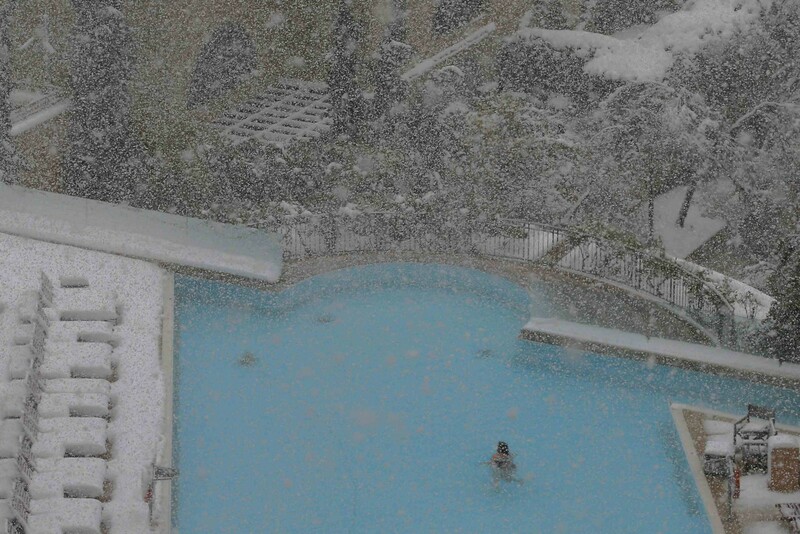 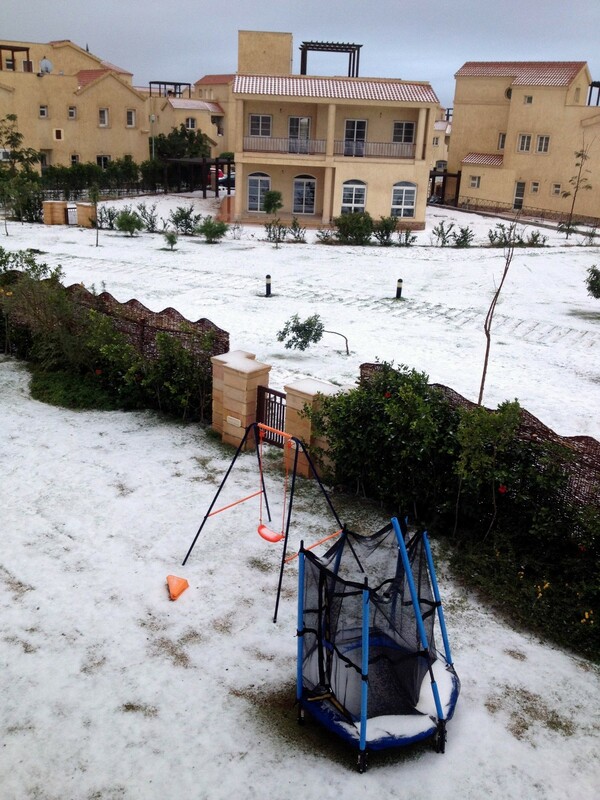 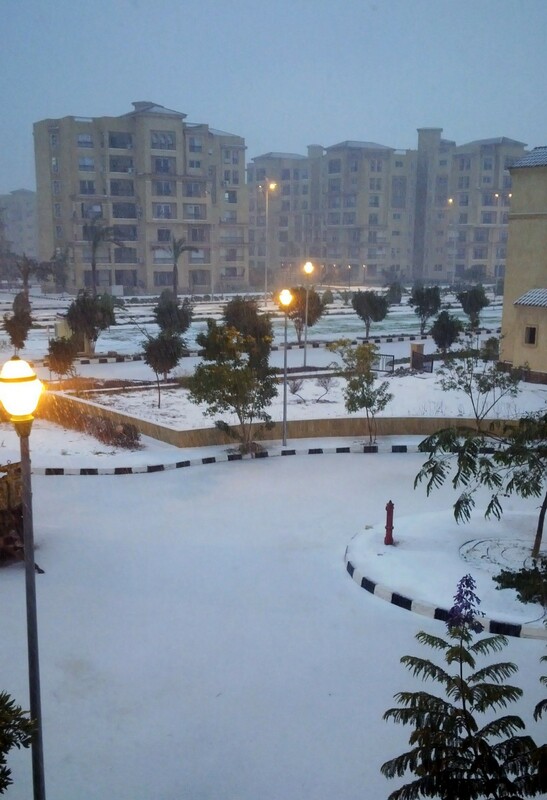 Snow in the Egyptian town of Madinaty, 40 kms east of Cairo. 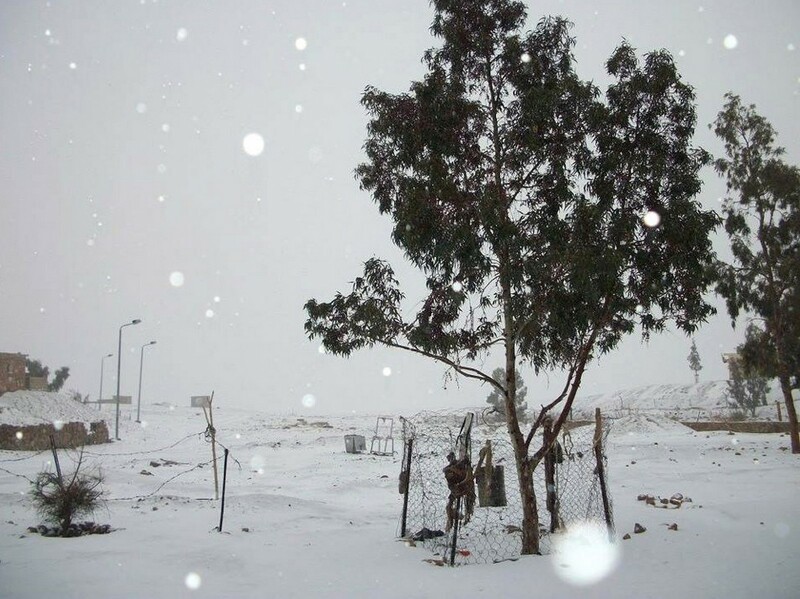 Saint Catherine's monastery in central Sinai covered with snow. 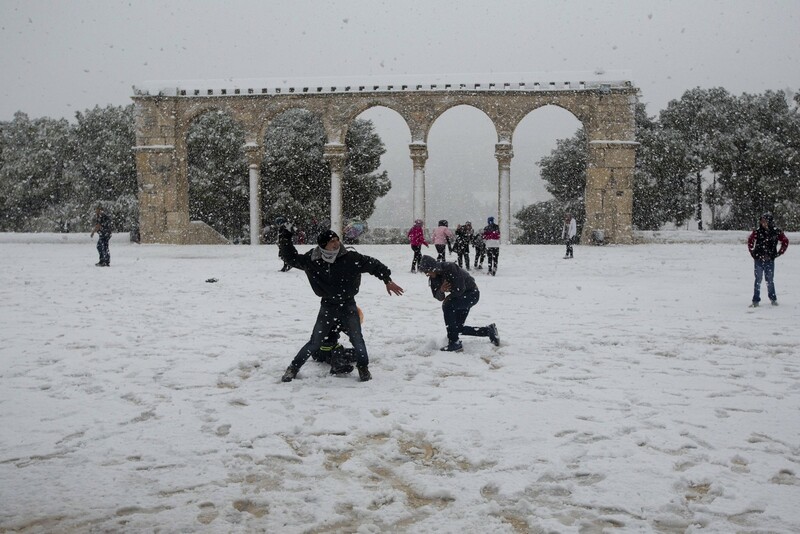 A girl plays with snow at Saint Catherine's monastery in North Sinai. 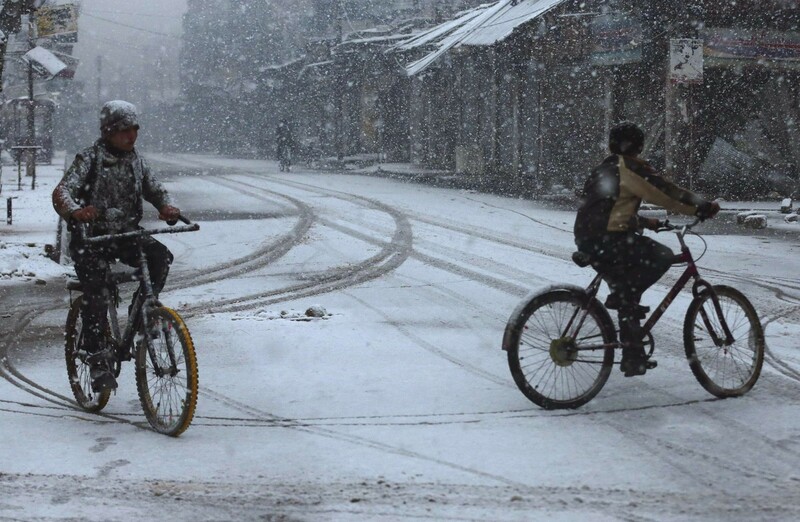 Boys ride on bicycles during snow fall in the Duma neighbourhood of Damascus in Syria. 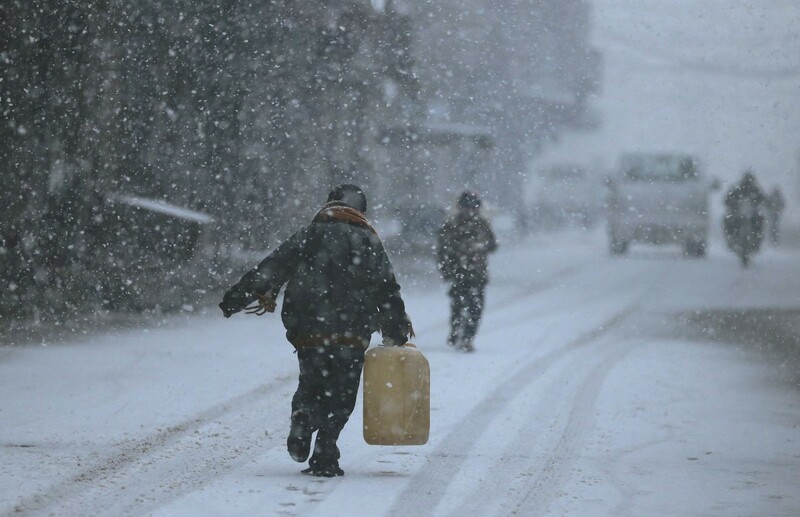 A powerful winter storm sweeping the eastern Mediterranean caused mayhem across the region and inflicting extra hardships on Syrians convulsed in civil war and on refugees who have fled the fighting. 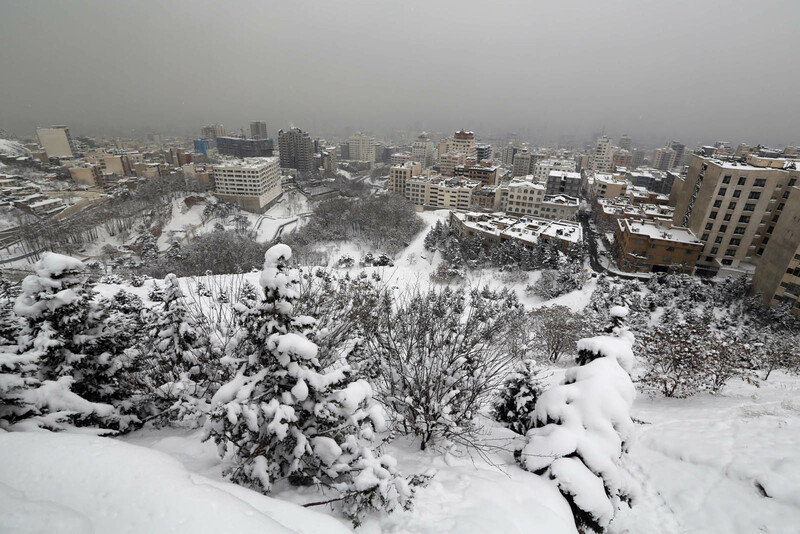 The storm, named Alexa, is expected to last until Saturday, bringing more snow, rain and cold to swathes of Turkey, Syria, Lebanon, Jordan, Israel, the Palestinian territories and Egypt. 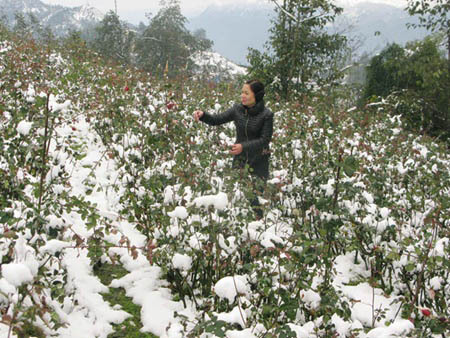 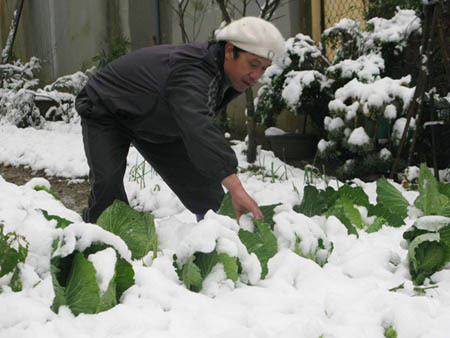 According to the town's Department of Agriculture and Rural Development, 100 hectares of chayote and another 100 hectares of flowers were destroyed, and all vegetables and other crops were buried by snow. 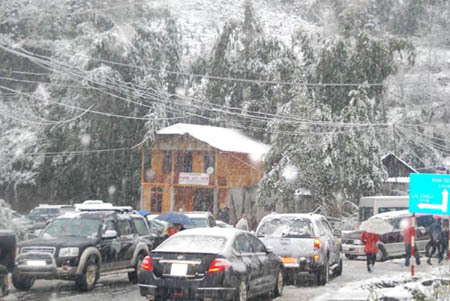 Heavy snowfall also led to constant traffic congestion on Highway 4D connecting Lai Chau and Lao Cai provinces. 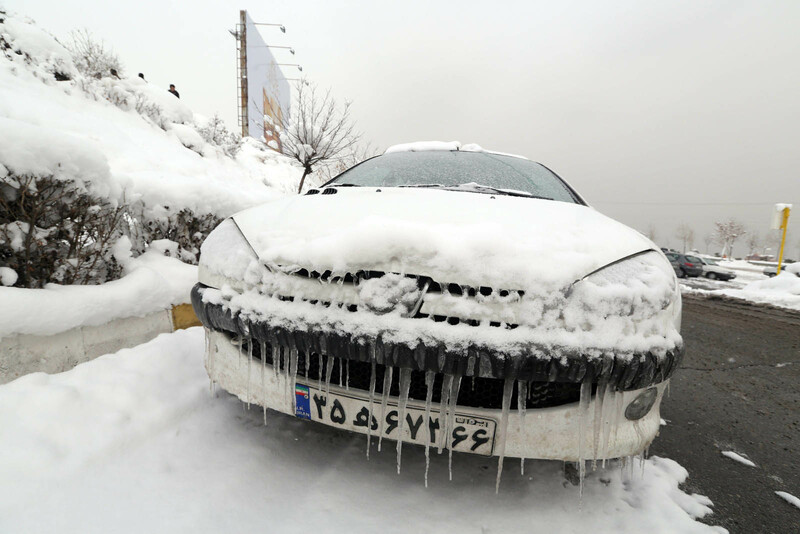 More than 50 cars were unable to continue driving, as of noon on Monday. 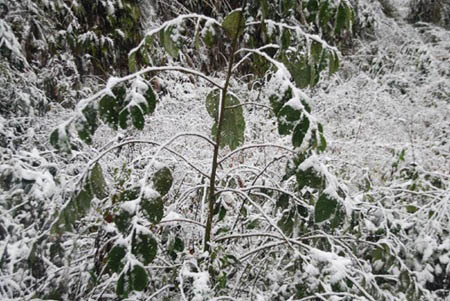 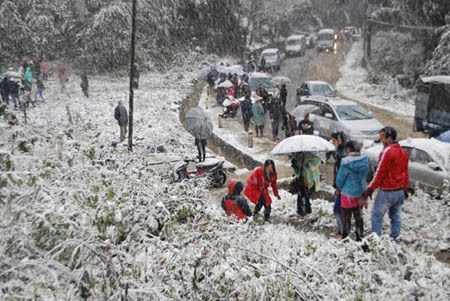 Local authorities reported that some 5,000 people flocked to Sa Pa to watch the snow, adding to the traffic congestion. 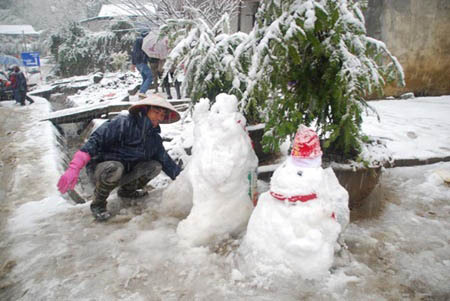 The province has quickly mobilised workers and rescuers to remove snow and assure that travel remains safe. 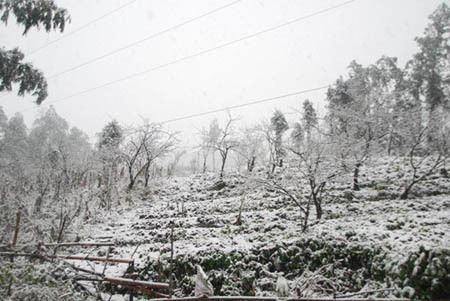 Sa Pa Town in the northern province of Lao Cai, a major national tourist attraction, wears an even more attractive look now with snowfall of more than five centimetres. 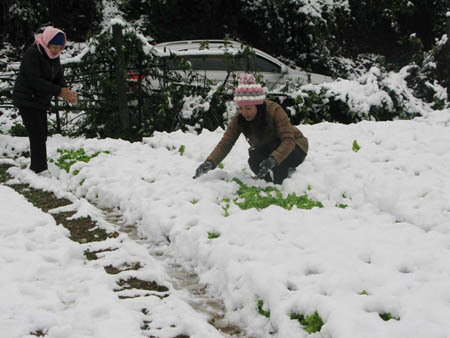 While it has been known for long that it snows in Sa Pa, this is not a common occurrence. 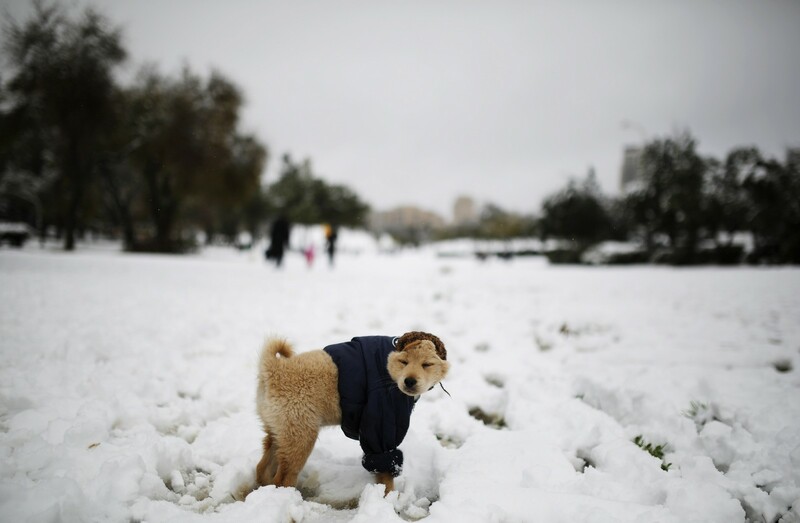 It said that at a height of over 1,900m above sea level, temperatures had dipped to as low as minus two degrees Celsius, forming icy sheets 10-20cm thick. 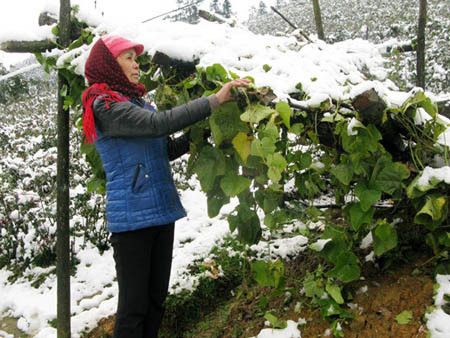 Average temperature in Sa Pa remained low yesterday at about minus one degree Celsius, with constant heavy smog and drizzle.